The 2019 Tattoo Challenge Final Has Arrived! 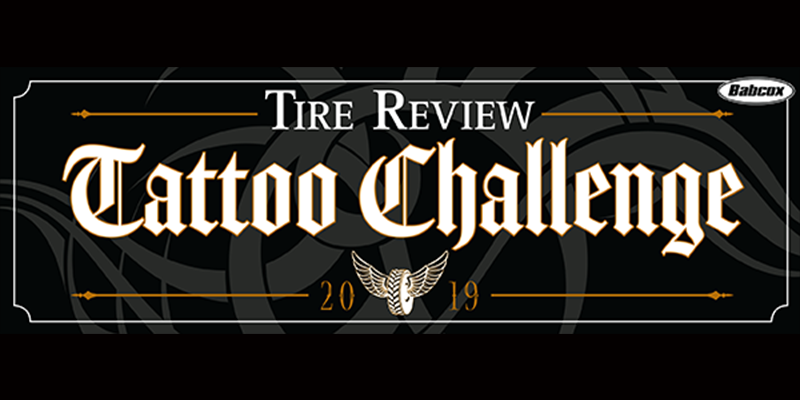 We started with 12 and now we’re down to two tattoos that have made the final round of the 2019 Tire Review Tattoo Challenge. This week, Christopher Rivas’ tire pin-up girl ink goes against Daniel Watts’ elaborate “gear-head” body art. Which tattoo will be named the winner? You decide! Click here to cast your vote in the final round of the Tire Review Tattoo Challenge. May the best body art win!